*Amber Tamblyn* opted for a striking marigold dress, which suited her woodland wedding to David Cross perfectly in 2012. *Angelina Jolie* wore what looked like a traditional wedding dress from the front when she married Brad Pitt in an intimate ceremony in 2014. However, the back of the dress and her veil were infused with adorable colourful illustrations drawn by her children and embroidered onto the fabric. *Anne Hathaway* wore a romantic and feminine off-the-shoulder, blush pink, couture tulle gown that was embellished with sparkle when she married Adam Schulman in California, 2012. *Avril Lavigne* maintained her rock chick image when she married Chad Kroeger with her goth-inspired black gown on the French Riviera in 2013. *Chrissy Tiegen* wore a spectacular scarlet gown for her lavish evening reception in Lake Como when she married John Legend in 2013. *Cynthia Bailey* chose a metallic eye-catching number for her Atlanta nuptials to Peter Thomas in 2010. 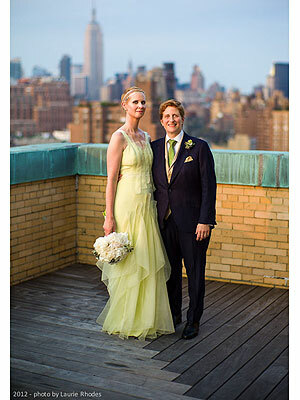 *Cynthia Nixon* wore a summery pastel dress for her New York City wedding when she married Christine Marinoni in 2012. *Dita Von Teese* wore an elaborate purple taffeta ball gown wedding dress when she married Marilyn Manson in Ireland, 2005. *Elizabeth Taylor* wore a striking yellow chiffon 60’s dress complete with sparkling emerald brooch when she married Richard Burton the second time round in 1974. *Emily Deschanel* wore a romantic, floaty chiffon number, accessorised with Neil Lane diamonds when marrying David Hornsby in California, 2010. *Gwen Stefani* has always been known for her individual style and her wedding dress certainly lived up to the stylish reputation. She wore a bespoke pink and white dress when she married Gavin Rossdale in London, 2002. 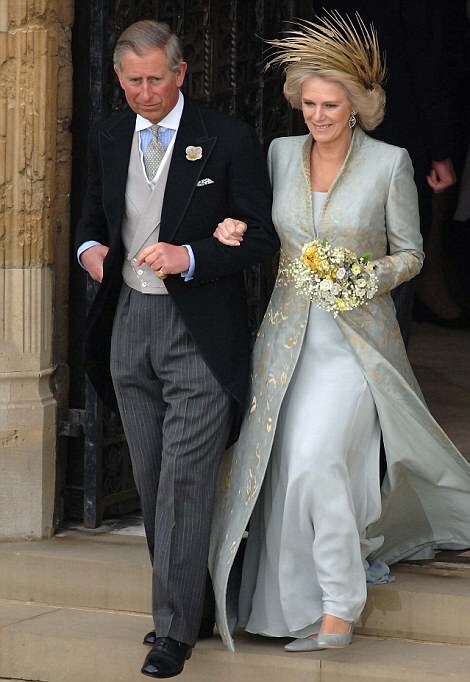 *HRS The Duchess of Cornwall* wore an elegant chiffon grey gown with silk dress coat complete with gold damask embroidery for her blessing to Prince Charles at St George’s Chapel, Windsor Castle in 2005. She also wore a stunning gold Philip Treacy hair piece. *Jenna Dewan Tatum* had a custom-made strapless wedding gown when she married Channing Tatum at their Malibu wedding ceremony in 2009. *Jessica Biel* wore a stunning bespoke pink wedding dress when she married Justin Timberlake in Italy, 2012. 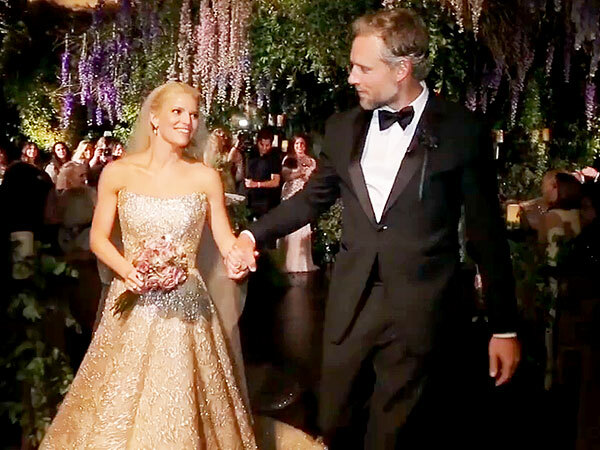 *Jessica Simpson* wore a glitzy gold tulle number when she married Eric Johnson in a lavish Californian ceremony in 2014. *Julianne Moore* decided against a non-traditional wedding dress and opted for an evening gown instead when she married Bart Freundlich in an intimate New York ceremony in 2003. *Kaley Cuoco* looked pretty in pink when she married Ryan Sweeting at a Californian ranch in 2013. 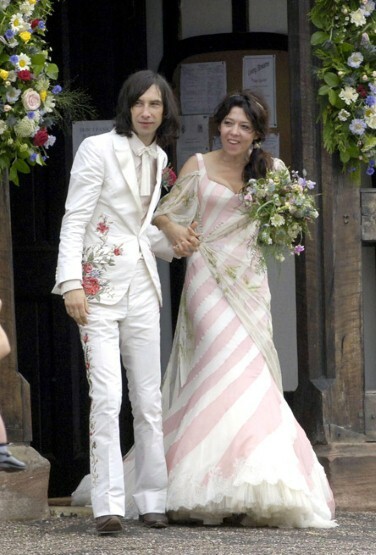 *Katy England* wore a very unusual candy striped bridal gown when she married Bobby Gillespie in 2006. *Keira Knightley* looked chic in her blush tulle ballet frock complete with a classic tweed Chanel jacket when she married James Righton in the South of France, 2013. She has even re-worn this charming dress twice since the wedding for other events! 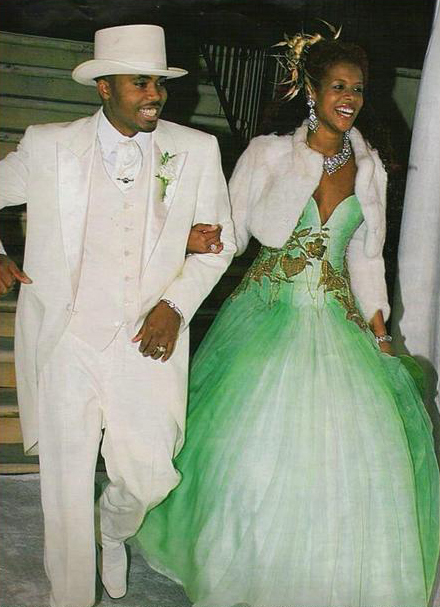 *Kelis* wanted a green fruit inspired dress made for her for her nuptials to Nas in 2005. *Marilyn Monroe* wore a skirt suit complete with white fur collar when she married Joe DiMaggio in San Francisco, 1954. 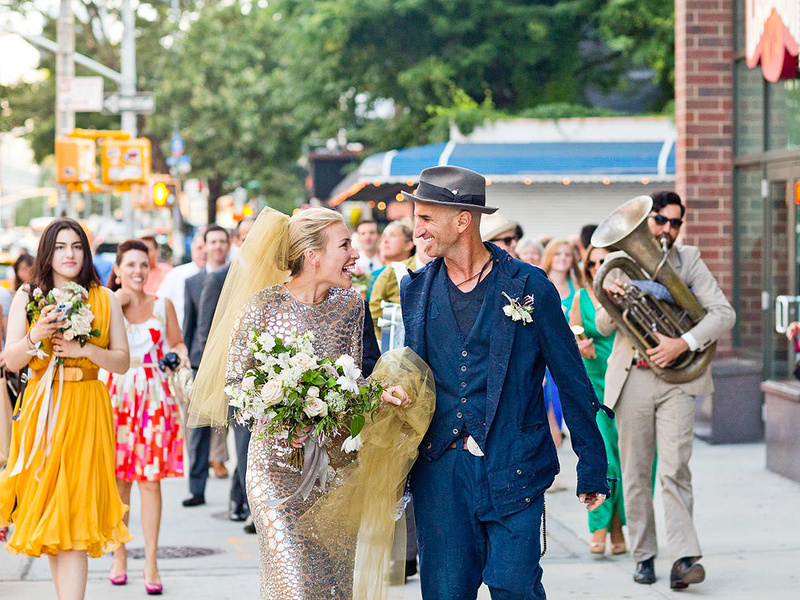 *Piper Perabo* wore one of the most unusual and bold wedding dresses ever when she married Stephen Kay. The shimmering silver fitted gown suited her New Orleans style wedding perfectly. *Portia De Rossi* and *Ellen DeGeneres* both wore bespoke Zac Posen designs for their nuptials at their LA wedding in 2008. *Reese Witherspoon* looked beautiful in her romantic blush dress when she married Jim Troth in California, 2012. *Sarah Jessica Parker* shocked the fashion world when she selected a black ruffled wedding dress for her nuptials to Matthew Broderick in New York, 1997. *Sharon Stone* wore a sheer pink gown when she married Phil Bronstein on their Valentine’s Day wedding in 1998. *Shenae Grimes* chose a black tulle, goth-inspired dress when she married Josh Beech in their English ceremony in 2013. 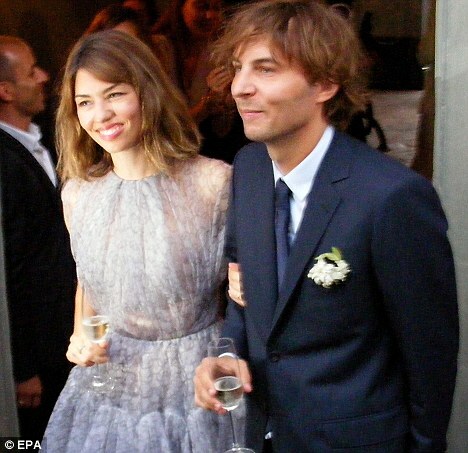 *Sofia Coppola* wore a non-traditional but very chic knee-length chiffon dress when she married Thomas Mars in a beautiful Italian setting in 2011. 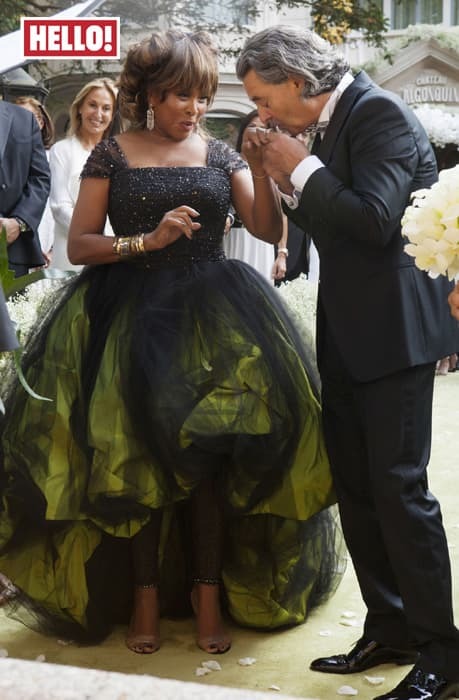 *Tina Turner* opted for a lavish taffeta dress with tulle overlay embellished with Swarovski crystals when she married Erwin Bach in Switzerland in 2013.